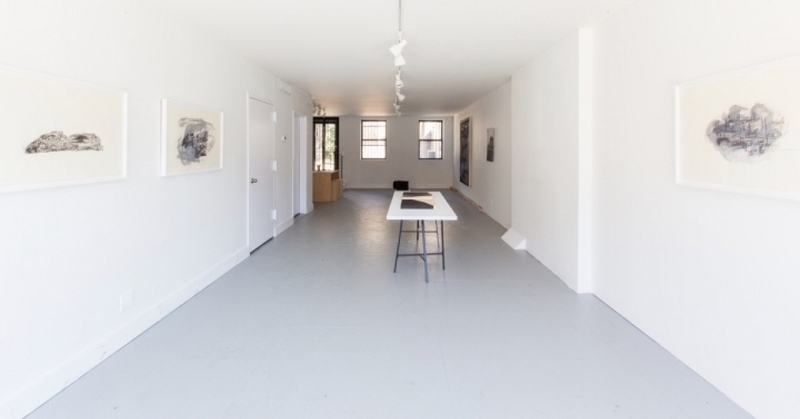 Patron Gallery | Press | Cultural Sensitivity or Cultural Authority? Cultural Sensitivity or Cultural Authority? 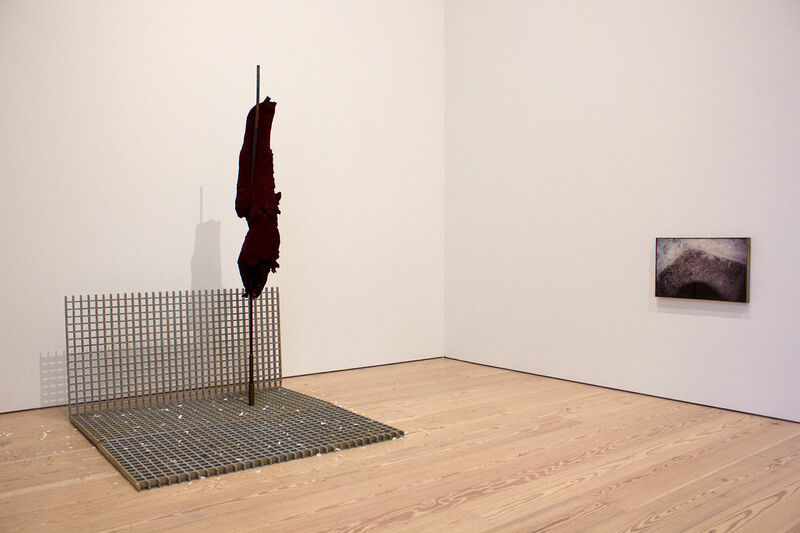 Controversy has surrounded the Whitney Biennial since its opening last month. Celebrated in early reviews for its topical purview and representation of artists of colour, the exhibition has come under fire concerning its inclusion of the painting Open Casket (2016) by Brooklyn-based painter Dana Schutz, depicting the dead body of African-American teenager Emmett Till. This past Sunday, 9 April, the Whitney Museum hosted a panel titled ‘Perspectives on Race and Representation: An Evening with the Racial Imaginary Institute’. 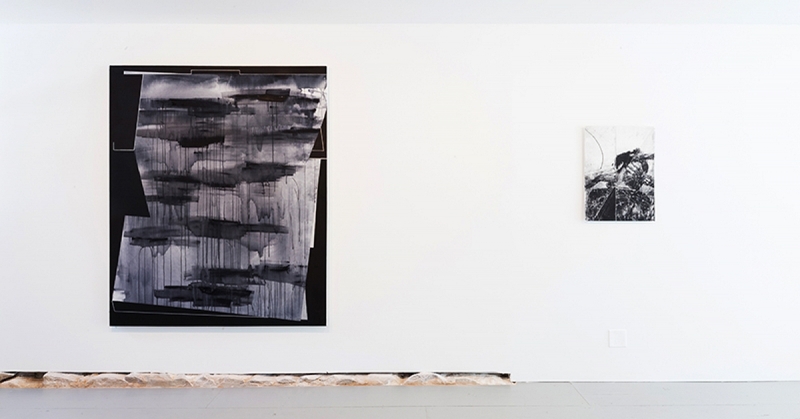 The event was organized by the biennial curators in collaboration with the Institute, founded by writer, artist and MacArthur ‘Genius’ Grant winner Claudia Rankine as ‘an interdisciplinary cultural laboratory in which the racial imaginaries of our time and place are engaged, read, countered, contextualized and demystified.’ Schutz’s painting became a touchstone to openly interrogate the Whitney’s response, as well as what might be an art institution’s stakes in upholding white supremacy. It did not reach a pat conclusion. The panel was held in the Whitney’s lobby, five floors below Open Casket’s display in the biennial. Rendered in Schutz’s signature expressionist style, the painting depicts an abstract version of Emmett Till in his coffin. The 14-year-old boy was brutally slain in 1955 in Mississippi after a white woman, Carolyn Bryant, falsely accused him of flirting with her. Although Till’s body was mutilated nearly beyond recognition, his mother Mamie Till Bradley insisted on holding an open-casket funeral in his native Chicago. “I wanted the world to see what they did to my baby,” she famously said. Artists of colour immediately responded to the painting’s content, denouncing its appropriation of a racially charged image. On the day the biennial opened to the public, Parker Bright staged a protest in front of the work, wearing a t-shirt with the handwritten words ‘Black Death Spectacle’. Hannah Black, a Berlin-based British artist and former Whitney Independent Study Program participant, penned an open letter demanding its removal and destruction, co-signed by fellow black artists and cultural workers. ‘The painting should not be acceptable to anyone who cares or pretends to care about Black people because it is not acceptable for a white person to transmute Black suffering into profit and fun,’ she wrote, with the rallying cry, ‘The painting must go’. The exhibition’s curators, Christopher Y. Lew and Mia Locks, published a brief statement about the ‘empathetic connections’ sought by the featured artists in response to racist violence. They describe Open Casket as an ‘unsettling image that speaks to the long-standing violence that has been inflicted upon African Americans.’ Schutz, in a quote to the Guardian, said: ‘I don’t know what it is like to be black in America. But I do know what it is like to be a mother.’ Meanwhile, much of the condemnation on social media has revolved around the demonization of Hannah Black for her call to ‘censor’ the image. At the panel, thirteen respondents delivered brief remarks over the course of two hours, including Lew and Locks. Hannah Black (who had performed a new work, OR LIFE OR, at MoMAPS1 in Queens earlier that day), Parker Bright and Dana Schutz all declined to speak. As the event’s primary organiser, Claudia Rankine moderated questions between two rounds of six speakers each. Because Open Casket has not been removed from the biennial, the question of censorship was more or less moot. The relationship between the censoring body and the censored is one of power, which an artist outside the biennial (Black) does not hold over an artist in the biennial (Schutz). Aside from the curators, the few panelists who spoke out against the artwork’s theoretical destruction – such as poet Elizabeth Alexander, who wrote a catalogue essay for the Whitney’s provocative 1994 ‘Black Male’ exhibition, curated by Thelma Golden – kept those remarks brief. Instead, they pivoted to the role of the institution, and the way whiteness remains uninterrogated therein. As author Sarah Schulman and artists Malik Gaines and Ajay Kurian explained, Black’s call to remove the painting was far from fascistic. The moral outrage in response to Black’s letter instead seemed to express something more fearful and insidious. 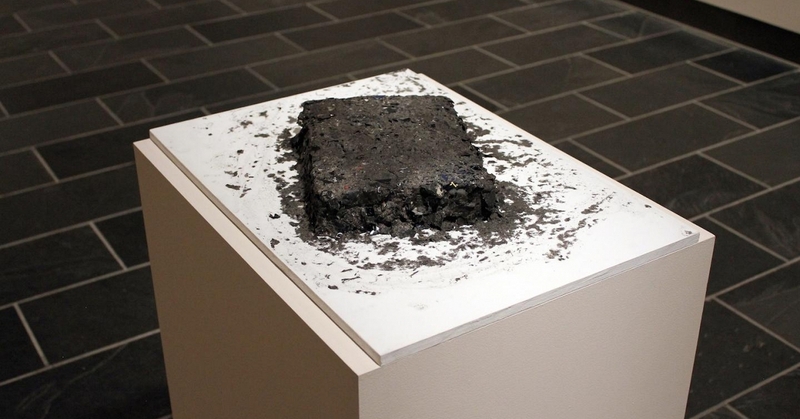 I read it as a call to artistic order, dramatically pitted against Black’s rhetorical gesture. Kurian, an artist in the biennial whose effigy-like sculptures cling to the museum’s stairwells, expressed his unequivocal admiration for Black. In a statement read by Margaret Lee (an artist and Kurian’s gallerist at 47 Canal), Kurian wrote: ‘[Black’s] anger needs no policing. She knows what she demanded and how she did so. Let us not confuse David with Goliath.’ Like Kurian, I see in Black’s letter a channelling of dispossession and rage into a provocative score. Her letter asks the museum to acknowledge that in the fight to decolonise and dismantle white supremacy, choosing sides is sometimes necessary. Protecting whiteness might well mean disenfranchising non-whites. The museum, for its part, stands by its defence of the painting as a type of ‘free speech’ – a right that has historically been restricted to white men, and most recently has been extended as a defence of fake news. Lew began his remarks by stating, ‘I believe that institutions like museums hold a promise to foster debate, a real civic responsibility that allows us to come together like this to hear one another.’ Yet the museum, like the rest of society (especially in the U.S.), is marked by deep inequality. This inequity is reflected in its policies, from the courting of sponsorship from the world’s wealthiest individuals to its $25 entrance fee. Schulman, whose recently published book Conflict Is Not Abuse argues against a victimhood mentality, disabused Lew of his utopian view of museums in her written remarks. The writer described museums and elite universities as corporate institutions that inhibit free speech. To that end she positioned Black and Bright’s protests as insider critiques, ‘an insistence on being treated like the powerful insider that people have been falsely promised to be’ through their institutional validation as artists. The majority of speakers, from academics Christina Sharpe and LeRonn P. Brooks to Elizabeth Alexander and biennial artist Lyle Ashton Harris, argued for the ‘failure of empathy’ in Schutz’s painting. According to Sharpe, it was Bright’s living protest against Open Casket that performed intimacy with Till — like a wake — not Schutz’s canvas. Schutz’s choice to depict empathy by an expressionist rendition of black death registered as hollow; so too did her ‘abstraction’ of her own white identity as she professed identification with Mamie Till. It is not a question of whether white artists can approach painful episodes of history. It is a much deeper proposition to acknowledge one’s complicity in that history. Instead of asking whether the painting should be removed, another set of questions might be proposed: after the 2014 Biennial scandal surrounding Joe Scanlan’s “Donelle Woolford” project – in which the artist made artwork ‘authored’ by a fictional black female artist – how did Schutz’s painting make it into the show? In a cultural climate that strives to understand intersectional oppression, how did Schutz’s painting make it into the show? Under the leadership of two accomplished Asian-American curators, how did Schutz’s painting make it into the show? With a biennial roster comprised of fifty percent artists of colour, how did Schutz’s painting make it into the show? The question of rejection and acceptance inevitably turned to institutional diversity. During a question-and-answer session, Lorraine O’Grady, an octogenarian African-American artist best known for her 1980 performance as the faux beauty queen Mlle Bourgeoise Noire, asked why the Whitney’s curatorial staff did not include more people of colour. Lew responded by repeating his own commitment to diversity, though he neglected to mention two new assistant curators hires who are women of colour (Rujeko Hockley and Marcela Guerrero). The evening ended anxiously, as Claudia Rankine tried to put a positive spin on the voicing of pain. Biennial artist Lyle Ashton Harris grabbed a microphone, firing off a passionate speech about historical amnesia over the identity politics debates of the 1990s. Like many black artists of his generation, he said, he had done the work of creating the white imaginary. Now, however, the task is to dismantle it. “We don’t want cultural sensitivity. We want cultural authority,” he exclaimed, to a burst of applause.